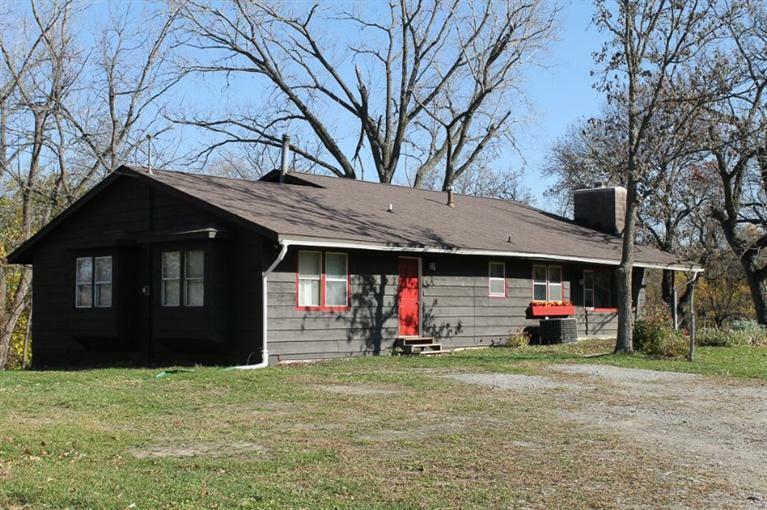 Country living only minutes from Marshalltown. This open four level/split level house plan contains five bedrooms and two bathrooms on almost four acres of heavy timber. Home features a very large kitchen and dining room on the main level with three bedrooms and one bathroom on the upper level. A newly remodeled living room, small office space and laundry room on the lower level complete with a new built in surround sound system and a wood burning stove that can heat most of the house in the winter. Basement level provides additional storage. Northern part of the house contains two additional bedrooms, furnace room, common space and a bathroom. Space is ideal for a work shop or could be updated for a more comfortable living space. Property includes a 2 stall garage and a small chicken coop. Young orchard includes several apple varieties, pear, cherry, almond, peach, apricot and paw paw trees. Timber setting with a small creek is home to a variety of wildlife year round.